Shopping for Bettie Page T-Shirts? Bettie, Queen of the Jungle! High-quality T-shirt featuring the always-alluring Bettie Page! 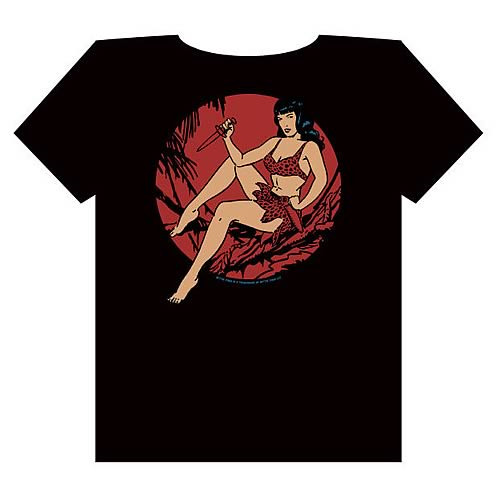 Bettie Page Jungle Night T-Shirt. Bettie Page has always been the quintessential pinup girl, and now she can be yours! Out of the jungle and into your wardrobe, bring home this high-quality black T-shirt today!